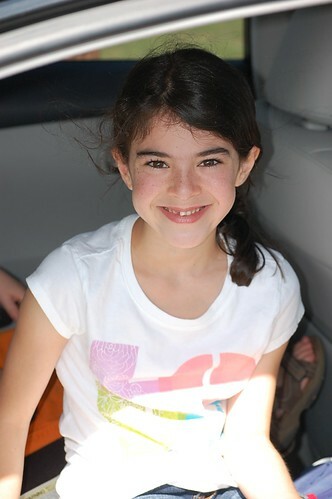 Sunday we dropped off Leah at her sleepaway camp. This is her third year going, but the first year she will stay for the “big kid” session of 3 ½ weeks. That’s kind of a lot. 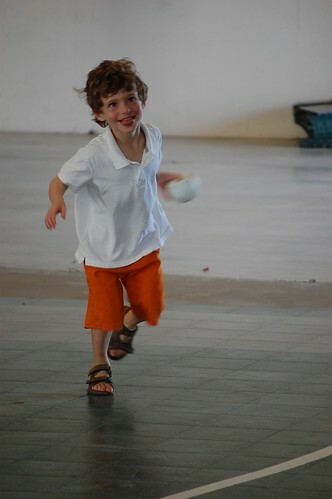 It was also the first time Benjamin made the trip with us. Here are some favorite outtakes of the trip that took 3.5 hours each way. First it should be noted that Benjamin hates the car for any length of time , so we knew immediately that the 3.5 hr trek up there was gonna be FULL of sparkles and unicorns the whole way. Thus? Liberal application of technology in the form of a DVD player, an iTouch and many, many replays of movies and games. We did play the requisite “punchbuggy” and “alphabet” games for the first 30 minutes. I was going to consider it a win if we could make it OUT OF HOUSTON before we unloaded the technology. We barely made that milestone before Diego was on the DVD player. We actually went to Waco, TX the day and night before we dropped off Leah because it’s just easier that way. The added benefit to that is being able to visit with some old college friends who live there – super bonus! We met our friends at their new country club, Ridgewood, (and, yes, in my head I was giggling at “Bushwood” the whole time – because I am 12) and had a blast chatting while the kids swam and hit the waterslides. You know what’s hard? Sleeping in a hotel in the same room as two kids sharing a bed. Know what else is hard? 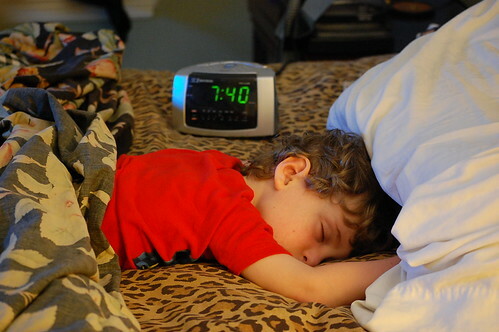 Getting a four-year-old to sleep when he’s all wound up and exhausted all at the same time. The amount of whimpering and whining and general NOT SLEEPING that happened Saturday night was extraordinary. Truly. It was one of those times I wished for baby Xanax. Or, you know, vodka. So, Sunday. Here is the story in pictures! 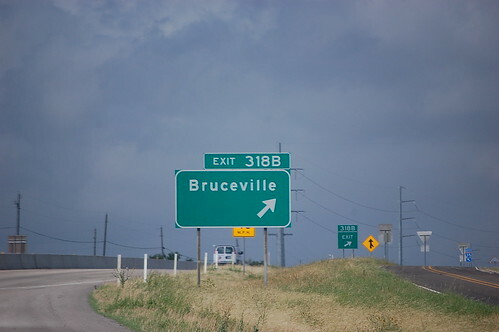 This is the exit sign to Bruceville, TX, where the camp is. At first sight it causes great applause. 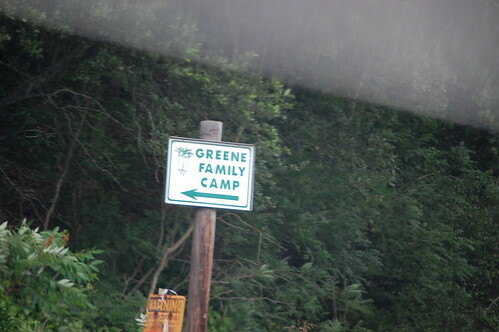 This is the last sign telling you where to turn before you get to camp. It illicits HUGE applause. Waiting in line in the car outside the gates. Benjamin has had ENOUGH of waiting in the car outside the gates. One of the things you have to do upon arriving at camp is check in. This takes FOREVER. Luckily it happens near a basketball court where Benjamin could run and play. See this face? 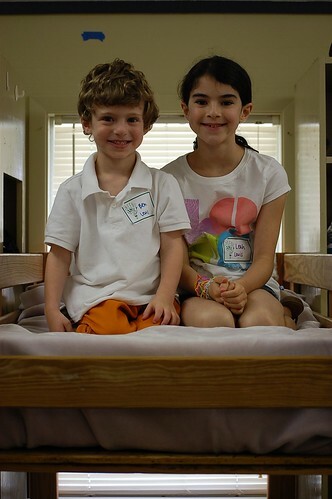 In two years Benjamin gets to go to this camp as well. I’ll have the same picture then. One last hug before we go. I may or may not have been a little sad. I will say that Leah was a little quiet. I know she was nervous about the longer stay. And I will readily admit that I was a little nervous for her, too. I know she will have fun, but I remember as a camper what that felt like. This is a big thing for her, this longer session. A test of sorts to see how she does on a longer stint away. I really, really, really hope she has a good time. But, also? I really kinda miss her, too. 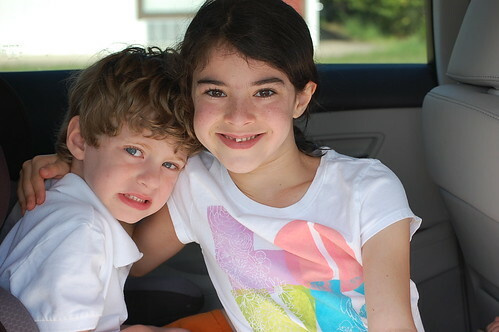 Benjamin was not totally happy about having to leave Leah at camp and last night while we were laying down watching TV turned to me and said, “Mommy, I want Leah to come back.” I can’t blame him – he misses his best friend. This will be a challenge for him as well. Leah is the center of his little, silly world. He was a trooper, though. That 3.5 hour car ride back home was pretty easy – made easier with the roadtrip necessity of a Dairy Queen stop. I knew he was tired, but wouldn’t sleep in the car (damn!!). He asked to go swimming when we got home, so we did. It’s too damn hot to do anything else. Note the time. He’d been asleep for 30 minutes when we realized he had fallen asleep in our bed. And after the roadtrip and fun we’d had? We ALL slept like that. Oh man, I would have cried leaving. Of course she’s having a wonderful time. But, leaving your baby is always hard. Have a cocktail or three momma! I “misted” but didn’t cry. I never have, actually – even the first year. I really am thrilled she’ll get to have such a great experience. Hi there Pam- it was so nice to meet you on Saturday! Just looking at these pics makes me a little teary myself. 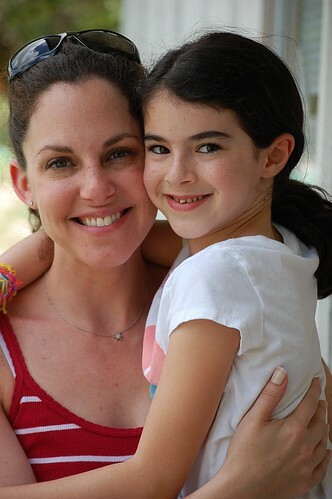 Even if my daughter was begging to go to camp I don’t think I could let her, I’m such a weakling. Your daughter is a lucky girl!! Leah is having a great time, but I think we are all ready for her to come home next week. Certainly her brother most of all! Hi, Linda! I’ll be putting up a post with more information shortly. Stay tuned – would love to have you join the fun!